In late January, after an eight-day jury trial in the U.S District Court for the District of Arizona, Wieneke Law Group partners Kathleen Wieneke and Christina Retts obtained a defense verdict on behalf of their police officer clients. The Section 1983 excessive force case was brought by the estate of a 31-year-old man who died after an altercation with the police officers. Citizens called 911 for the man, believing him to be in need of medical care. The man fought with police, was tased, and suffered a cardiac arrest on site before being transported to the hospital where he was pronounced dead. Toxicological results revealed the presence of a large amount of methamphetamine in his system, as well as a small amount of alcohol. Plaintiff sued four officers, and WLG was able to get one of the officers dismissed before the case went to the jury. The jury deliberated for one hour and 15 minutes before delivering a defense verdict against all police officers, absolving them of all liability. Kathleen Wieneke has achieved an AV® Preeminent™ Peer Review Rating by Martindale-Hubbell and is a Fellow of the International Academy of Trial Lawyers (IATL). She has spent over 30 years defending excessive force claims and litigating road design cases, amassing extensive experience and expertise. 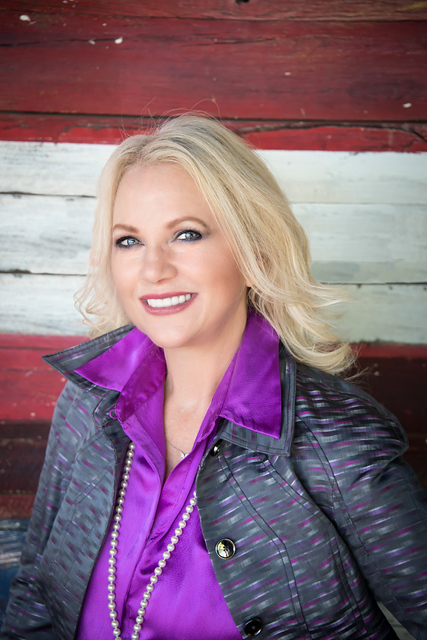 Christina Retts has extensive experience defending law enforcement personnel against a broad range of civil claims, including cases involving excessive use of force, officer-involved shootings, TASER, less-lethal weapons, K-9 use, positional and restraint asphyxia, and wrongful arrest. Tina is also experienced with defending fire and corrections medical personnel against complex medical negligence claims. Wieneke Law Group attorneys have represented Arizona governmental entities, their employees, school districts, elected officials, corrections personnel, and federal employees in a variety of matters ranging from civil rights claims involving allegations of malfeasance in office, police misconduct, failure to provide medical care, Bivens, and employment matters. Our vast experience allows us to provide high quality, cost-effective legal services to our clients. 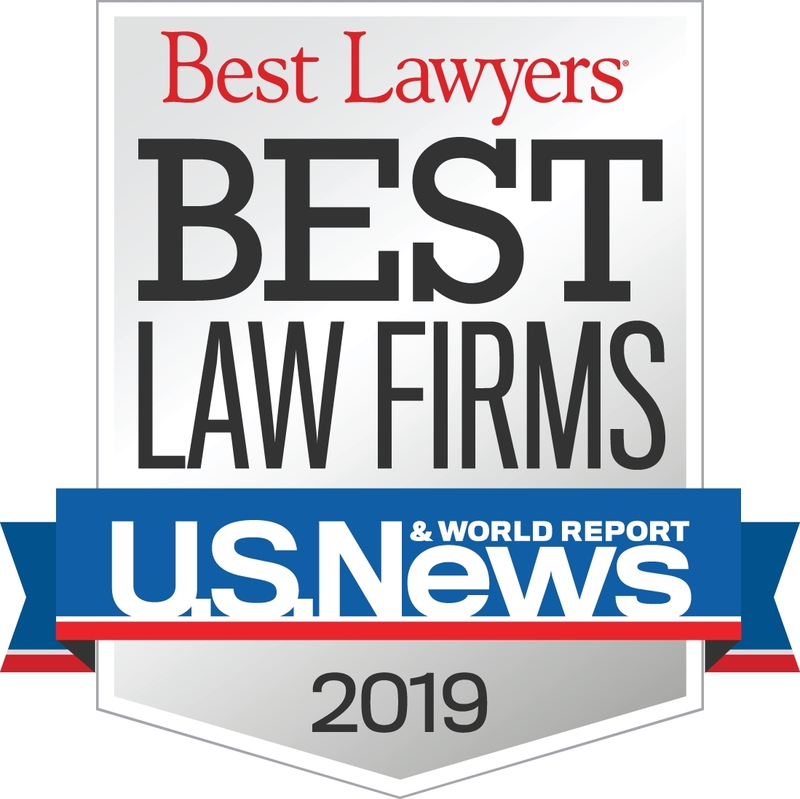 Today, U.S. News – Best Lawyers® “Best Law Firms” announced that the Wieneke Law Group has been designated a Tier 2 firm in the Scottsdale region for Personal Injury Litigation – Defendants. About Us: Wieneke Law Group attorneys have represented Arizona governmental entities, their employees, school districts, elected officials, corrections personnel, and federal employees in a variety of matters ranging from civil rights claims involving allegations of malfeasance in office, police misconduct, failure to provide medical care, Bivens, and employment matters. Our vast experience allows us to provide high quality, cost-effective legal services to our clients. Kathy has spent over 30 years defending excessive force claims and litigating road cases, amassing extensive experience and expertise. In recognition of her accomplishments, professionalism, and legal skills, Kathy has received numerous distinctions and honors for her accomplishments over the past 31 years. This week, Kathleen Wieneke and Christina Retts will be presenting on “The Public Safety Response to the Mental Health Crisis,” at the Arizona Public Risk Managers’ Association (PRIMA) 2018 Summer Education Series in Flagstaff, Arizona. Using videos and examples from their collective 40 years of experience defending law enforcement, the always-entertaining Kathy and Tina will delve into the practical and legal pitfalls confronting law enforcement when dealing with mentally ill suspects. 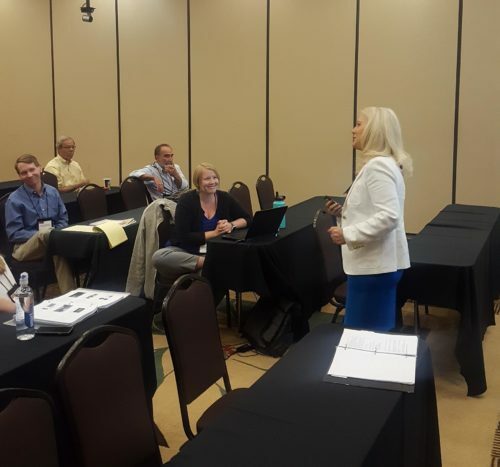 Arizona PRIMA is dedicated to provide public risk managers with resources that assist in creating and sustaining proactive risk management programs that are fiscally prudent. Kathy Wieneke has spent over 30 years defending law enforcement in excessive force cases. In recognition of her accomplishments, professionalism, and legal skills, Kathy received numerous distinctions and honors, including being named an Arizona Super Lawyer by Arizona Super Lawyers Magazine, achieving AV® Preeminent™ Rating by Martindale-Hubbell, and being accepted as a Fellow in the International Academy of Trial Lawyers. She is a Member of the Federation of Defense and Corporate Counsel, and was selected to the 2018 edition of The Best Lawyers in America© for her accomplishments over the past 31 years. Christina Retts is WLG’s master strategist, and brings 14 years of experience defending law enforcement personnel against a broad range of civil claims, including excessive force, officer-involved shootings, TASER, less-lethal weapons, K-9 use, positional and restraint asphyxia and excited delirium. Kathy Wieneke isn’t just a star in the courtroom, she is also a star on stage. 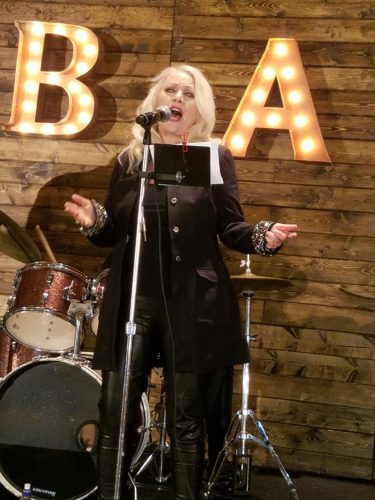 On Thursday, June 28, Kathy (singer) and her fellow multi-talented lawyers, Bill Shostak (keyboard), Steve Evans (bass), Booker Evans (lead singer), Tim Ducar (drums), and Lee Holtry (guitar) reunited their band, the Stilettos, to take the stage at the Arizona State Bar Convention for the annual “Lawyers Got Talent” competition. 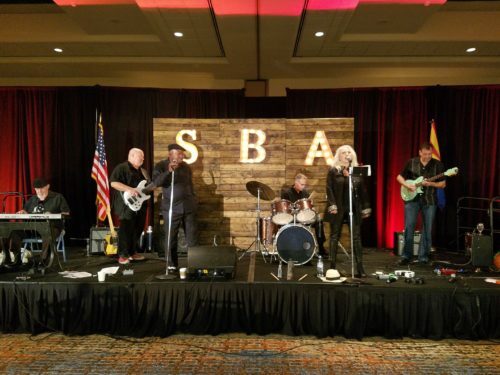 The Stilettos last performed at the 2011 State Bar Convention in Tucson, where they won second place. This year, The Stilettos again delighted the crowd with Motown hits, bringing home an even greater honor – the People’s Choice Award! In addition to being a trial warrior and singer of Motown hits, Kathy Wieneke is a classically-trained violinist. As much as she enjoys performing with The Stilettos, she is not planning to quit her day job. Her passion remains being the voice for others in the courtroom. Her practice is dedicated to helping those who are sued, including governmental entities in claims involving road design, employment, school liability, and civil rights. 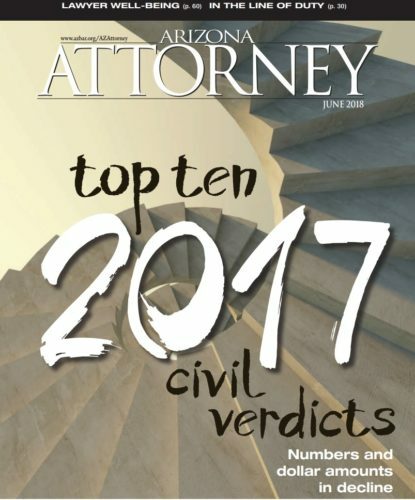 For the third time in six years, Arizona Attorney Magazine recognized a Kathleen Wieneke defense verdict as one of the significant defense verdicts of the past year. In the personal injury and Section 1983 civil rights action, Ms. Wieneke tried and successfully defended law enforcement officers accused of falsely detaining the plaintiff and then allegedly using excessive force in his arrest. In 2012, Ms. Wieneke obtained a defense verdict in another law enforcement case that was also recognized in the annual Civil Verdicts issue. In spite of having to try the case in a climate where public sentiment against the police was running high, Ms. Wieneke successfully defended a law enforcement officer involved in the shooting of a suspect who fled from police after attempting a “beer run” (shoplifting beer) at a convenience store. Finally, in 2014, Arizona Attorney recognized Ms. Wieneke’s results in a road design case arising out of a freeway car crash. The plaintiff alleged that the median’s slope caused her to travel under the cable barrier and into oncoming traffic, causing her to sustain a traumatic brain injury and loss of her left arm. Ms. Wieneke successfully countered the plaintiff’s theory of the case before a jury, resulting in another defense verdict. Kathy Wieneke has spent over 30 years defending excessive force claims and litigating road cases, amassing extensive experience and expertise. In recognition of her accomplishments, professionalism, and legal skills, Kathy has received numerous distinctions and honors, including being named an Arizona Super Lawyer by Arizona Super Lawyers Magazine, achieving AV® Preeminent™ Rating by Martindale-Hubbell, and being accepted as an Advocate in the American Board of Trial Advocates for her extensive trial experience. She is a Member of the Federation of Defense and Corporate Counsel, and was selected to the 2018 edition of The Best Lawyers in America© for her accomplishments over the past 31 years. America’s Top 100 Attorneys® announces the Lifetime Achievement selection of Kathleen Wieneke. Lifetime Achievement selection to America’s Top 100 Attorneys® is by invitation only and is reserved to identify the nation’s most exceptional attorneys whose accomplishments and impact on the legal profession merit a Lifetime Achievement award. results, peer reputation, and community impact. 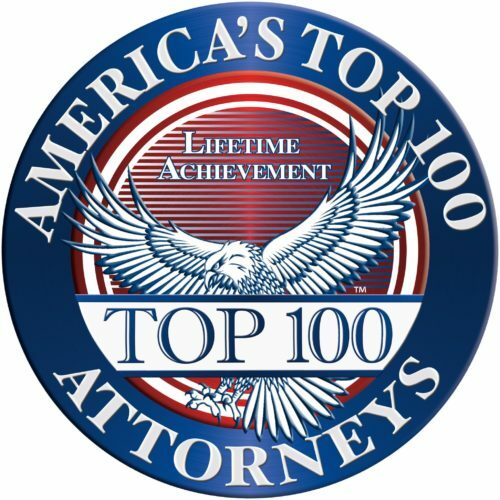 With these extremely high standards for selection to America’s Top 100 Attorneys®, less than one-half percent (0.5%) of active attorneys in the United States will receive this honor — truly the most exclusive and elite level of attorneys in the community. On May 17, 2018, Kathleen Wieneke and Tara Zoellner presented at the Twenty-First Annual Public Practice Legal Seminar/HR Summit in Prescott, Arizona, presented by the Arizona Counties Insurance Pool. Their session, “Defending the Roadway Case” focused on pertinent case law, immunities, and statutory affirmative defenses. Kathy Wieneke has spent over 30 years litigating road cases, amassing extensive experience and expertise, particularly, in highway median barrier cases. In recognition of her accomplishments, professionalism, and legal skills, Kathy received numerous distinctions and honors, including being named an Arizona Super Lawyer by Arizona Super Lawyers Magazine, achieving AV® Preeminent™ Rating by Martindale-Hubbell, and being accepted as an Advocate in the American Board of Trial Advocates for her extensive trial experience. She is a Member of the Federation of Defense and Corporate Counsel, and was selected to the 2018 edition of The Best Lawyers in America© for her accomplishments over the past 31 years. From case inception through appeal, Tara Zoellner has spent the past eight years defending public and private entities and their employees against a variety of claims, including excessive force, wrongful death, sexual assault, deliberate indifference to medical needs, and retaliation. 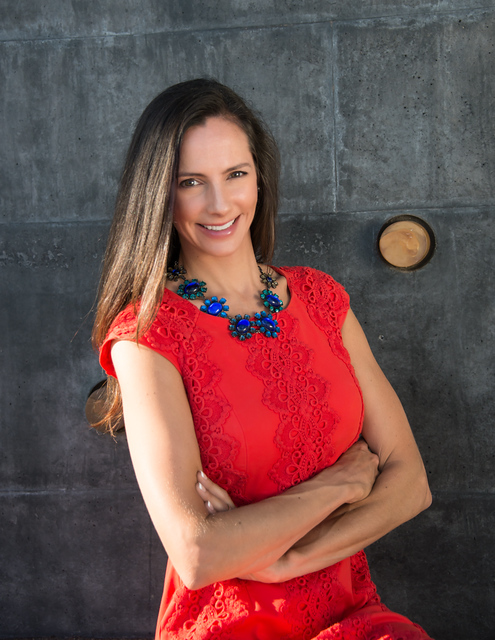 She has been recognized as a Rising Star by Southwest Super Lawyers Magazine. Utah passes first-of-its-kind “free range parenting” law, which “exempts from the definition of child neglect various activities children can do without supervision, permitting ‘a child, whose basic needs are met and who is of sufficient age and maturity to avoid harm or unreasonable risk of harm, to engage in independent activities …,'” such as walking, running, or biking to school, traveling to commercial or recreational facilities, playing outside, and remaining at home unattended.